The chips instantly started shifting around as soon as the final six players started playing Day 2 of Event #1: $10,000 No-Limit Hold'em at the PokerGO Studio just outside of the Aria Resort and Casino. By the end of the day, it was David Peters emerging victorious, taking down the field of 69 entries, grabbing the $193,200 first place prize and, of course, 300 points towards the Purple Jacket race to go along with his victory. The field held a lot of well-known professionals, including Day 2 chipleader Brandon Adams, who would give Peters the chip lead in a cooler hand. Peters would take his chip lead and apply an immense amount of pressure for the remainder of the final table, continuously putting his opponents to the test. 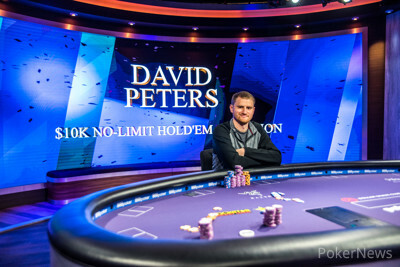 When asked about the momentum gained after that hand and confidence level Peters replied, "It is nice to get off to a good start and yea I feel great"
Brian Green started heads-up play as a massive dog as Peters had around a nine to one chip lead. Green picked his spots, doing something no one else at the final table could do against Peters and that was not getting sucked out on. Green managed to get in ahead, holding every time leading up until the inevitable finish where he moved all in with his snowmen into Peters cowboys and was unable to find a third eight, being eliminated in second place for a respectable $138,000. The final six started with Isaac Haxton as the short stack and he would be the first to make an exit when the Day 2 chipleader Brandon Adams took him out in an unlucky run-out. Haxton moved all in with ace-jack, Adams called with ace-two and would end up hitting trip deuces to send Haxton home first on Day 2. Cord Garcia fell down to the new short stack of the tournament and would call the remainder of his stack with pocket eights from a three-bet shove of Peters with ace-two. The board ran out poorly as Peters would pick up a lot of outs on the turn, hitting one of them on the river when his ace spiked the tabled, eliminated Garcia in fifth place. 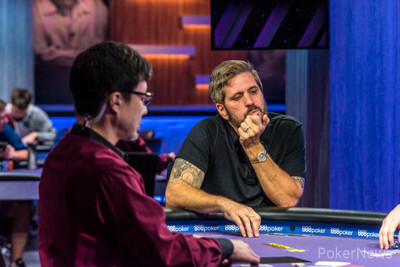 Adams found himself as one of the shorter stacks after having his two pair fall to Peters turned full house earlier in the final table. Adams then called his remaining chips all in after Peters moved all in from the cutoff. 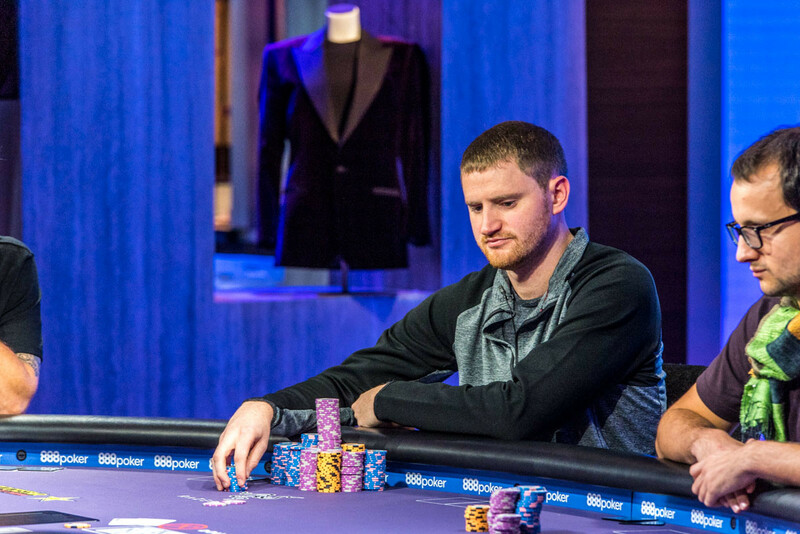 Peters queen-jack was far behind the king-jack of Adams, but when the board ran out with four hearts, it would be Peters taking down the pot with his runner-runner flush, eliminating the Day 2 chipleader in fourth place. Rainer Kempe made several good moves to steal pots from Peters and many good folds to outlast the short stacks when he needed to do so. Peters was applying a heavy amount of pressure and constantly moving all in on Kempe when it got down to three-handed play. Kempe took a stand from the small blind when he called his remaining chips with snowmen and would be far ahead of Peters ducks. The board ran out with four spades, giving Peters another runner-runner flush for another elimination of an opponent. Heads up play started off beautifully for Green who was grinding out the day, watching all of his opponent being swept away at the likes of Peters and his continuous string of runner-runner flushes. Green put in a fighting every and even took over the chip lead two times during heads-up play, but it all came to a halt when he ran his pocket eights into Peters cowboys. Peters would be crowned the champion, adding another notch to his 2018 belt in which he has been seen cashing almost everything he plays. The high roller regular has been having one of his best years as a pro, cashing in some of the biggest tournaments on the planet, taking down the $ 25,000 + 1,000 No Limit Hold'em High Roller in March, the HK$500,000 No-Limit Hold'em Six Max Event at the 2018 Triton Super High Roller Series in July, and now the first event of the Poker Masters today. This concludes the PokerNews coverage of Event #1: $10,000 No-Limit Hold'em here at the Poker Masters. Coverage of Event #2: $25,000 No-Limit Hold'em is currently in progress, and make sure to stay tuned to PokerNews.com for all the 2018 Poker Masters updates. Brian Green moved all in from the button for 3,665,000 and was snap-called by David Peters. The players turned over their hands in what could be the last hand of the tournament. Green said, " come down a six high flop so I don't feel bad". The flop did just that as the dealer fanned out and Peters was still very ahead with his kings. The turn fell the and Green would need to hit to stay alive. A came on the river, as Green could not improve, being eliminated in 2nd by David Peters. The players are now taking a short 5-minute break. Brian Green opened to 275,000 from the button and David Peters made the call. The flop came down , Peters check-called a bet of 325,000 from Green. The turn fell the and Peters made the call. A came down on the river and both players checked. Peters showed for a pair of nines and Green tabled for a pair of jacks, giving Green the pot and the chip lead. Brian Green moved all in from the button and David Peters made the call, players turned over their hands with Green at risk. The flop came down and Peters would need to get lucky. The came on the turn and Peters was now drawing dead to the river. Green grabbed another double and is now almost even in chips with Peters. David Peters moved all in from the button and was called by Brian Green in the big blind. Players turned over their hands with Green at risk of elimination. The board ran out and Green's aces took down the pot, snagging him a double up through Peters. Davids Peters moved all in fro the button on the first hand of heads-up play and Brian Green made the call. Players turned over their hands and Green would be at risk of elimination. The flop fell , giving Green two pair and improving his chances of taking down the pot. The came on the turn and Green was still ahead. A fell on the river, giving Green the double through peters.